The Ram's Head Inn has hosted countless private events for the last 35+ years; graciously accommodating private East End weddings & weddings in the Hamptons. Since 1979, we've hosted innumerable weddings & events at our Inn. Your special day's safe in our hands. Our space is amenable to whatever the size of your event: the Ram's Head Inn comfortably holds 200 guests. Wedding parties often utilize our large front lawn and restaurant space, while other events choose to utilize our private beach and host reception dinners serving local oysters by our gazebo. In the cooler months, the level of privacy both our Island & Inn offer is unrivaled anywhere on the East End. The Ram's Head Inn is gorgeous in any season, and winter is no exception. Brides and grooms booking in the cooler months can not only enjoy the calm and unique beauty of Shelter Island in the "off-season," but we'll also waive the site fee. Menus are custom made-to-order for the specific taste of the event you've always imagined. 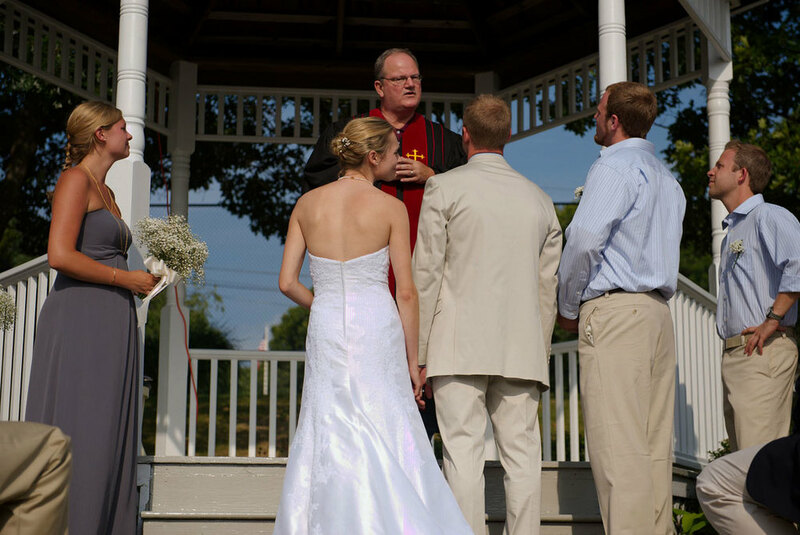 Graciously handling weddings of all sizes, The Inn maintains our own on-site wedding planner. We only ever host one wedding at a time, giving you our full attention. if there's anything else we can do.